So, yea, this post is definitely late if you're talking about current months but....this is the first EVER Serum No. 5 polish I have ever purchased! I have no idea why I waited so long to try it. I buy planner stickers from Victoria all the time. She does a fantastic job with those so of course her polish would be fantastic! As you know, these "month" shades are part of her One and Done batches. I was lucky enough to snag up this beauty. It also corresponds to the first month I got my EC Planner. Today I have April 2015. Each of these monthly shades is made to coordinate with each month of the Erin Condren planner. 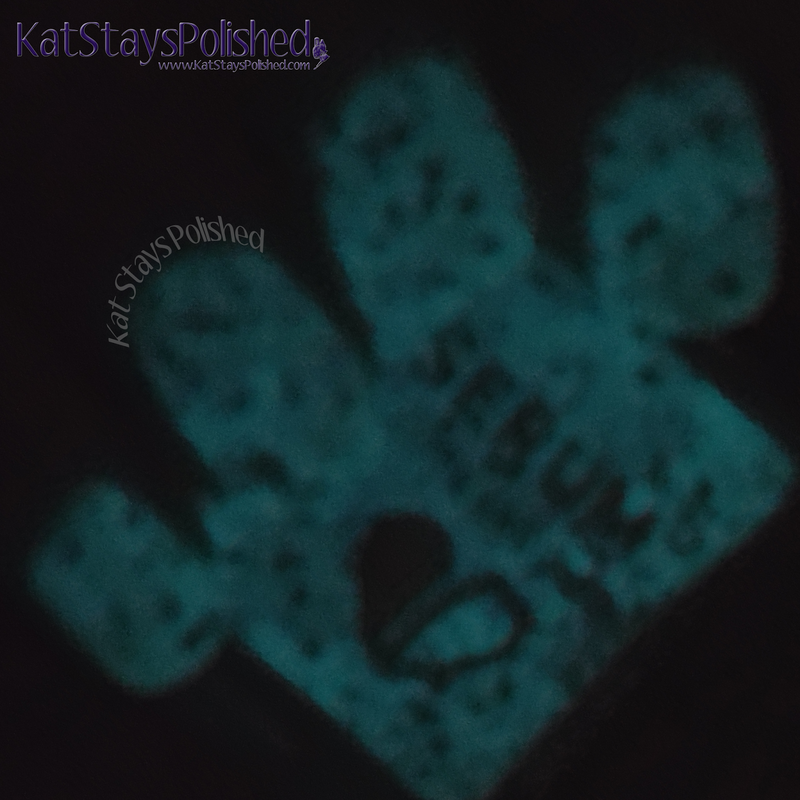 They also glow in the dark (but you probably already knew that if you're familiar with Serum No. 5. My swatches are 2 coats plus top coat. I do love how sheer this formula is because the glitters seem to fill in all the necessary space. I am addicted to these One and Dones now...my life will never be the same. To get the glow in the dark effect, I primed my nails with my white LED lamp that I use in my light box. I held my nails under it for about a minute or 2. My phone did not like to focus on the blue glow on this shade but OMG I can't wait to wear this (or any of their GitD shades) out somewhere. That would be so cool looking! If you don't own ANY Serum No. 5 shades, I highly recommend that you buy some...like NOW. Another great thing about Serum No. 5 is that each month, a charitable donation is made based on her products sold. You can learn more about that HERE. Let me know if you get any. If you're already a fan, what's your favorite shade from her? Yes! Definitely something I can wear always! Very cute. Glow in the dark is awesome! I didn't know that Victoria also made planner stickers! I love this polish, they do glow in the dark colors so well. OMG her planner stickers are the cutest! She even went above and beyond to make custom stickers for me when I needed them. 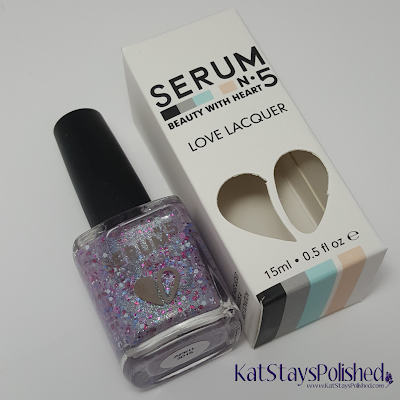 I really like Serum no 5! I have some of the GitD polishes and I love them! This one is pretty! Now that's a glitter I'd love to own. I'm obsessed with that polish! Ooo! So pretty! And who cares what month it is! Every month is the right month for great polish. I have got to buy more of her polishes! I have one, and I love it. I love that she coordinates a polish with the ECLP! Sounds like I need to own some of this amazingness! I have to try glow in the dark, it's so cute! So glad you got your hands on this - Its so pretty! Me too! I'm starting to make a biggggg wishlist in her shop, haha. I really need to try polishes from this brand! I keep reading about these fun nail polishes and they are all raves. 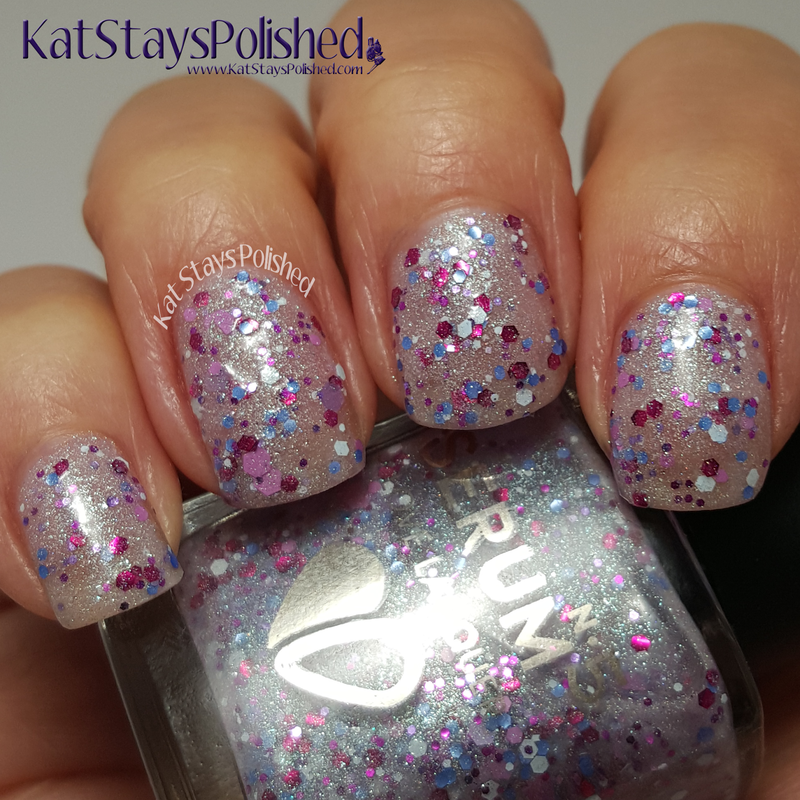 This is such a fun glittery polish. I haven't tried anything from this brand but I would definitely try this one. I love this! It's so cool that it glows! I love receiving her monthly shades! April was a favorite of mine! I really want a glow in the dark polish. So cool!